Update: I was able to visit Canyon Cove again last weekend for a team activity at work, so I will update this post with new photos and information. We rented a jetski as part of our team activity and we took turns riding it. The sea was rougher and waves were also bigger when we were riding, enough to lift the watercraft a few increase off the water when bumping into them. Two of my colleagues managed to flip the jetski when they rode, but thankfully they were unscathed. 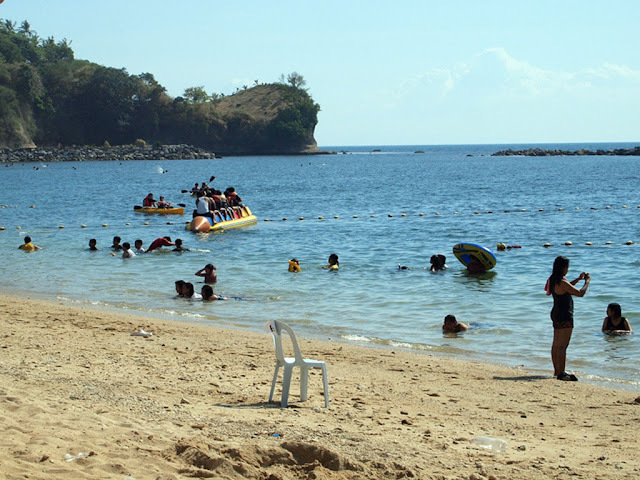 One difference compared to Subic is that Canyon Cove requires a lifeguard to accompany the riders, for safety reasons, which means that you'd be carrying a passenger even if you ride solo. During my turn, I had two passengers with me. That may be grating for some, but I didn't really mind it. The big change was that water sports in the resort are now managed by Networx Jetsports, the same company that rents hoverboard and flyboarding equipment in Subic (I heard that they will have flyboarding available in the resort too). I noticed that the jetski that we used was bigger than the one I used before, and more powerful too. The price is now PhP2400 for 20 minutes. The first time I rode a jetski was during last summer, in Canyon Cove. Since it was my first time, an instructor rode with me. I was also allowed to take one more passenger, which a gutsy officemate of mine volunteered to go. 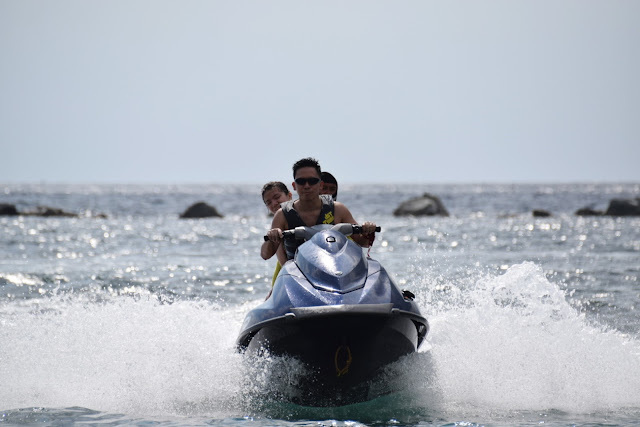 The ride was exhilarating, as there were big waves in the sea and the jet ski - a Yamaha WaveRunner - would lurch and jump over them when I slice through. It was more maneuverable that I imagined it to be, and I actually felt comfortable in the driving seat after the bout of beginner's jitters got replaced by the excitement of riding the waves. We did venture out far to sea, me chasing some of the jetskis that were also out there, and tailed some boats as well (from a safe distance,of course). It almost felt like I was riding a scooter, only that we get salt water sprayed on our faces instead of dust, and I'm wearing a lifejacket instead of a helmet. The ride ended sooner than I wanted it to be, and we headed back to shore after 20 minutes. It was a good first try, and I'm looking forward to ride the jetski again, solo this time. Canyon Cove is your typical beach resort, located in Nasugbu, Batangas, about 3 hours away from Manila. It is where my company held its summer outing. 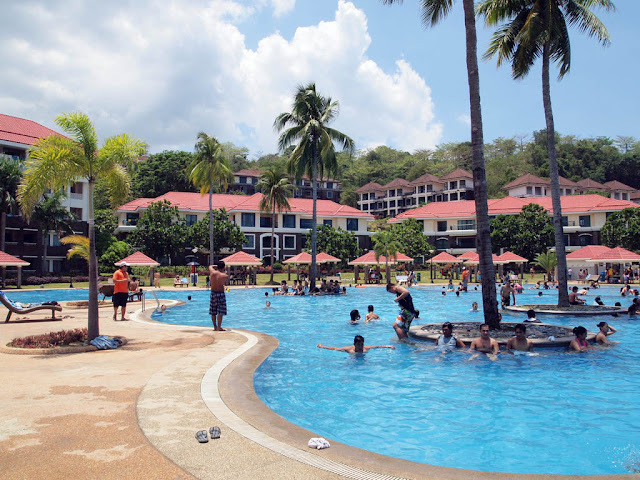 As a de rigueur for beach resorts, it has a huge pool area, a cluster of buildings for guest accommodations, and the beach, which faces West Philippine Sea and is protected by a cove. 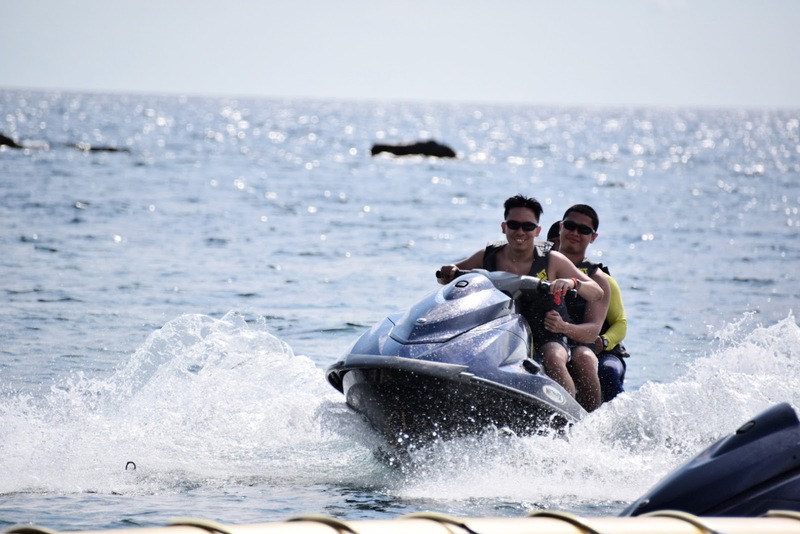 An implement of equipment are available for the guests, including a banana boat, skim boards, several kayaks, and of course, jet skis. As it was in the middle of the summer the resort was packed, mostly by employees of companies who are doing team-building activities in the place. I'm not exactly a big fan of beach resorts, but the day's activities were fun. Canyon Cove is located in Nasugbu, Batangas, about 3 hours away from Manila. If driving by car, the fastest way would be through the South Luzon Expressway, then on to Sta. Rosa exit to Tagaytay, then to take Tagaytay-Nasugbu road to town proper. By bus, take one from Taft Avenue near the LRT station (Tritran or JAM Transit). 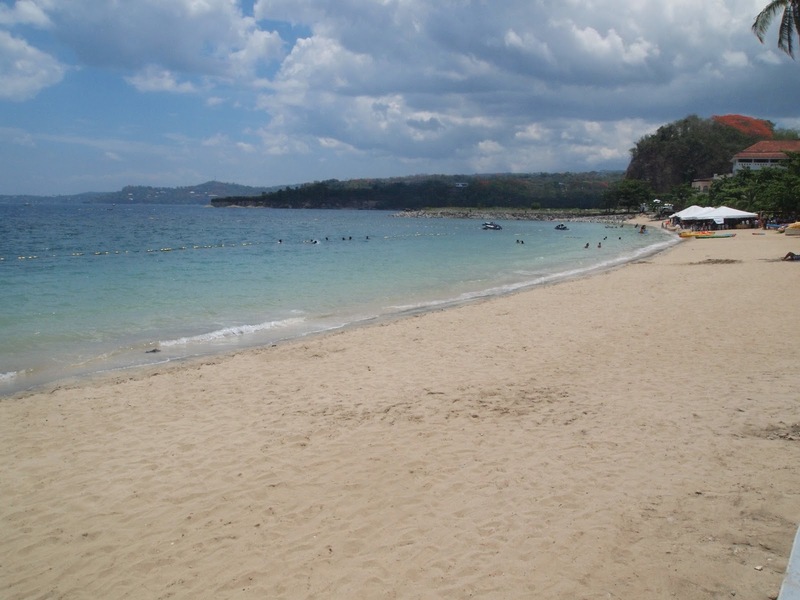 You may then take a tricycle from Nasugbu poblacion to Canyon Cove. I used to go to Canyon Cove as a kid - it had a diferent name then (I forget what the name is now) and the massive pool was a massive mess. We couldn't even get cellphone signal at the resort! Now it looks like the place got a revamp. Must visit again! I also have fond memories of Kainan sa Dalampasigan in the Nasugbu poblacion, where we would eat lunch before heading to the old Canyon Cove. Good times!